Photo by Sam Thiel TMB’s Jake Tauer winds up a pitch during their game against MACCRAY on Tuesday. The Panthers defeated the Wolverines 5-1. 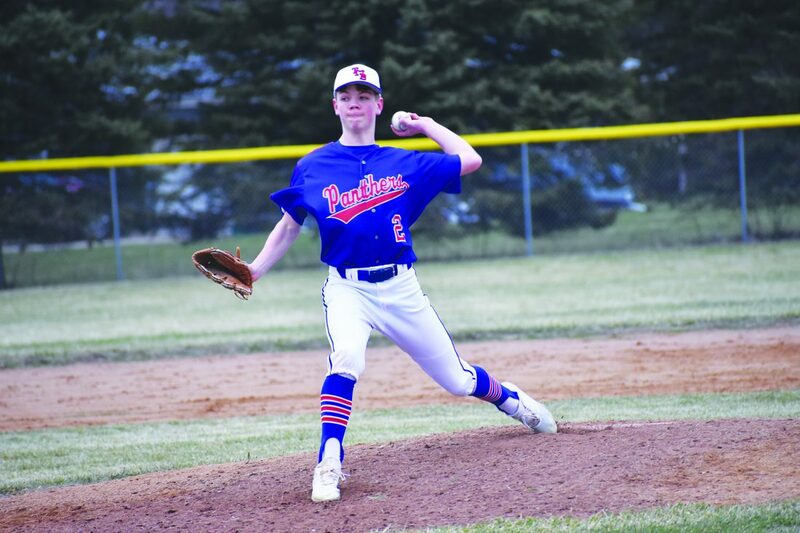 TRACY – After opening their conference schedule with a win over Canby, the Tracy-Milroy-Balaton baseball team looked to carry over that momentum against MACCRAY on Tuesday afternoon. The Panthers would be able to overcome a sluggish start and use a key fourth inning to earn a 5-1 victory over the Wolverines. TMB coach Bill Tauer said they’ve been fortunate as a team have played a few games this season already and felt their defense and pitching were solid to carry them early before the offense broke out. The Wolverines jumped out to an early start, getting a run to take a quick 1-0 lead after three innings. TMB struggled early on, as the Panthers’ bats couldn’t seem to get going. Fortunately for TMB, it got a much-needed wake-up call on the offensive end in the fourth, as Gervais reached safely before coming around to score on a wild pitch to tie things up at 1-1. Konnor Zick stepped up and connected for a two-run double before Jake Byrne brought him in on an RBI single on the ensuing at-bat to put the Panthers in front for good at 4-1. TMB would later add another run in the sixth thanks to a leadoff infield single from Gervais and an RBI double by John Schmitt to bring it to 5-1. Rylan Fogelson led the way for the Panthers with a 2 for 3 day at the plate while Zick and Schmitt each added a hit and a combined three RBI and Gervais, Byrne and Tauer all collecting a hit as well. 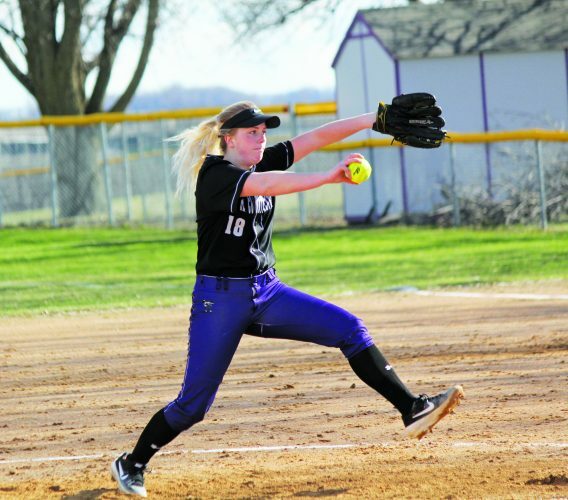 Tauer said their key on offense was just getting the ball in play and taking advantage after they had a slow start at the plate against MACCRAY. “We just put the ball in play; we had too many strikeouts to start the game, so we just had to put the ball in play and make them make a play and we ended up scoring some runs off of it,” Tauer said. Tauer, who came on in relief in the fifth, was able to pick up right where Gervais left off, throwing three shutout innings while allowing just one hit and striking out six. Gervais earned the win, tossing the first four innings while only giving up one run on three hits and striking out five. Coach Tauer said he was pleased with Gervais and Tauer’s performances on the mound and felt it was a good starting point for them to move forward throughout the season. 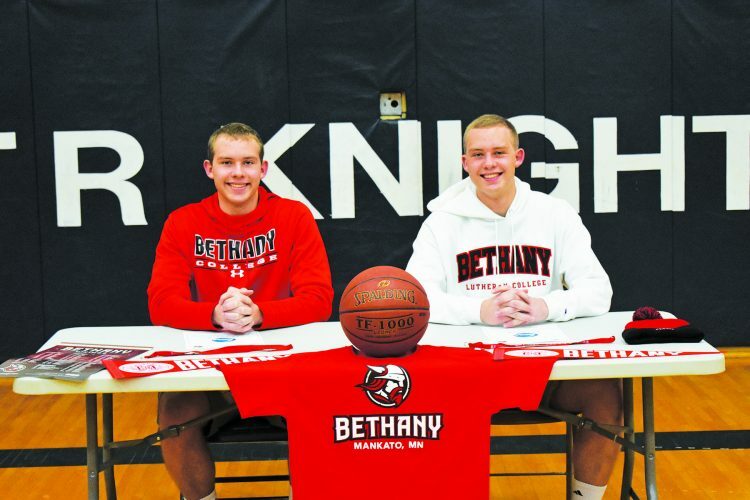 TMB (3-1) will now face Kerkhoven-Murdock-Sunburg on Monday at 4:30 p.m. Coach Tauer said it was important for them to be able to get some momentum to start the season and hopes the incoming weather threat doesn’t affect them too much.